RHA is bringing new tech out! Yay! CL2, baby! I get excited when new tech comes out. I geeked out over graphene when I first heard about it on twitter. I geeked out when I heard about the Unique Melody ME.1, and I thought it was pretty cool when RHA released a ceramic shelled, dynamic driver and ceramic plate hybrid in the RHA CL1. Graphene, to hear it from Axel Grell of Sennheiser, is mostly a gimmick (I don’t know if he’s right, even bright folks get things wrong). Of the above, only the Unique Melody ME.1 has really impressed me, and it wasn’t perfect. New tech, while exciting, doesn’t always hit. The CL1 was an interesting cat, but it didn’t scratch me the right way. I called it the ‘Richard Dawkins of IEMs.’ If you’ve ever watched Richard, you’ll know what I mean, bright, but can be a bit offensive to normal human sensibilities. I really enjoy the CL750. I’d love to see a lower impedance re-release, because it would be a blockbuster at £99. I’m currently using the MA750 Wireless as my daily driver (review upcoming). They are excellent. The RHA CL2 returns with some similarities to the divisive CL1, but it’s got a lot more cool stuff going on. Some of that cool stuff shows that RHA has been paying attention to customer feedback. That’s a really good thing. Retained from the RHA CL1 is the nearly indestructible zirconium dioxide shell. It’s black(ish) and beautiful. It feels lovely in hand and looks lovely with a perfect ergonomic fit. Also retained, but improved from the CL1 are the cables. I loved the CL1 cables. They were exceptional quality and comfortable. The ear hooks are some of the best in the business. This comes with a 3.5mm single-ended high purity copper cable, a high-purity silver 2.5mm balanced cable (CL1 had mini 4-pin XLR), and a 12 hour Bluetooth neckband. All of these use standard MMCX connectors instead of the custom RHA ones on the CL1. I’ve been using the MA750 Wireless, which has the same Bluetooth neckband design, and it’s excellent. The CL2 planar magnetic driver is only 10mm, which is the smallest planar magnetic driver currently out there. As usual with RHA, it comes with a shedload of tips in all sorts of sizes and materials, including Comply foamies. £799 ($899.95). This is a nice flagship package. 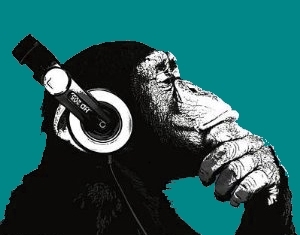 I don’t know if Audio Primate will get a review unit yet, but I’ve got my fingers crossed. I’m really looking forward to hearing another planar magnetic in-ear. Now for some eyecandy press-pack photos. I don’t like using these kind of photos, but I don’t have these beauties in hand yet. Fingers AND toes crossed. Here’s hoping.